The following is a script from “Lewis Hamilton” which aired on Dec. 13, 2015. Charlie Rose is the correspondent. Keith Sharman, producer. There is nothing like Formula One in terms of global popularity, glamour and speed. The racing series is considered the pinnacle of motor sports. Most Americans haven’t heard of its biggest star — his name is Lewis Hamilton. Even if car races aren’t your thing, there’s still much to admire in Hamilton’s inspiring story of beating the odds and breaking through barriers. But if you do like speed…buckle up…because you’re about to experience the indescribable rush of driving one of the fastest race cars on the planet. …Worldwide, Formula One generated more than two billion dollars last season but remains a niche sport in the United States. F1 executives hope Hamilton can change that. They have never seen a star like him before. 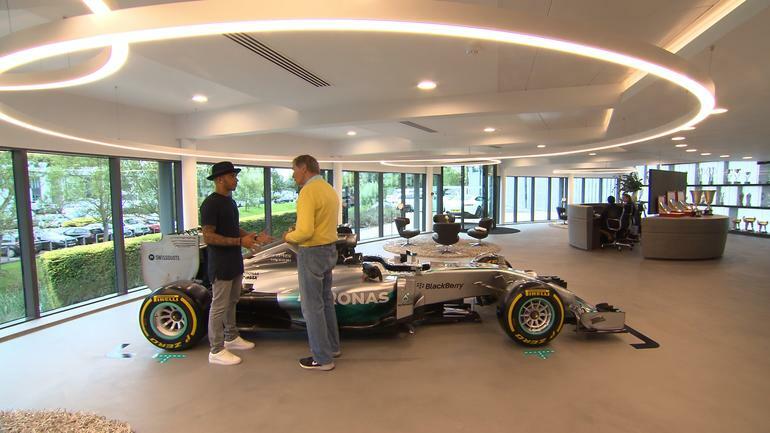 Charlie Rose: How many black drivers in Formula One? Charlie Rose: Why is that? Lewis Hamilton: Well, I don’t know. I think in the future there’ll be more. Charlie Rose: You’re a role model? Lewis Hamilton: I hope so…. Walking through the Shibuya section of Tokyo, Ariana Miyamoto certainly turns heads — and she wants to use that attention to change attitudes. When Miyamoto was crowned Miss Universe Japan in March, selected by a panel of seven Japanese judges, her surprise on stage was real, reports CBS News correspondent Seth Doane. She was the first-ever winner to be biracial. Her father is African-American, and her mother is Japanese. “Japan still has racial issues, and I wanted to do something about it,” she said. Japan, an island nation that didn’t open to the world until the late 1800s, still lacks real diversity today. Mixed-race children made up less than 2 percent of births in 2013.